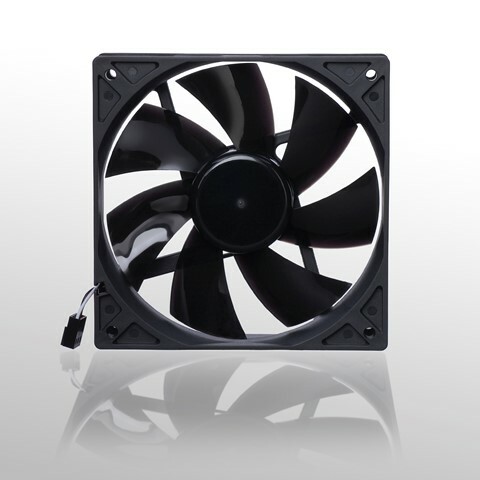 The Noiseblocker NB-BlackSilentPro premium fan Series based on the frame of the NB-BlackSilentFan, the electronic NB-EKA Plus and the bearing NB-NanoSLI and is also based on the High End Series NB-Multiframe. The BlackSilentPro Series comes with 2 length fan connector wires. One is 200mm for shorter applications and the second is 450mm+ for reaching across full tower chassis ect. The new developed mounting set incl. the "NB-Silentframe" with the complement rubber part and the long screws with knurled nuts for tool-free assembly is also included. gasket for more pressure e.g for radiator etc.